Is now the time to move my retirement savings into the stock market? I've got $200k in cash ... is now the time to jump into the stock market? Party time on Wall Street! I think it's impossible to know in advance when it's the best time to invest in stocks (or bonds, for that matter), and futile to pretend otherwise. We had a perfect example of this recently. 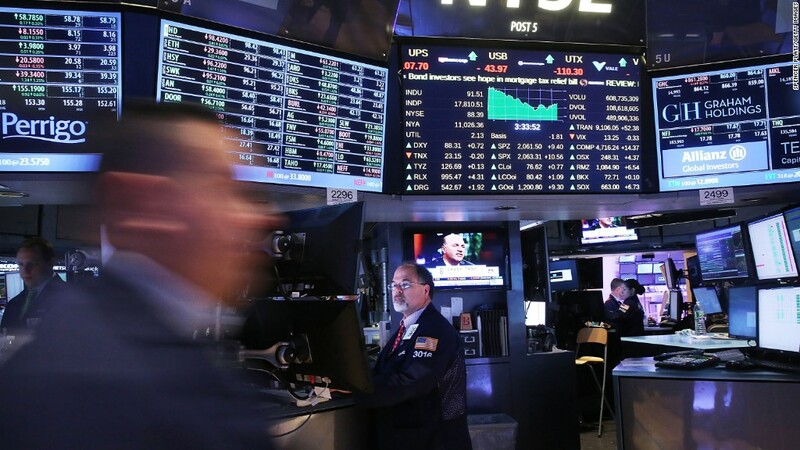 A few days after Brexit, or British voters' decision to leave the European Union, U.S. stocks plummeted more than 5% and many pundits predicted much worse was still to come. So what happened? Within three weeks the Standard & Poor's 500 index rebounded and hit an all-time high. I have no idea whether over the next few months or years this bull market will continue to climb to new peaks, or descend into a potentially devastating bear. But I can tell you this. There is always cause to worry that stocks might be on the verge of a setback and are thus better avoided for now. To quote Gilda Radner's iconic Roseanne Roseannadanna character from the early seasons of Saturday Night Live, "It's always something. If it ain't one thing, it's another." If it's not Brexit, it's worries about the coup attempt in Turkey. Or weak growth in China. Or an economic crisis in Greece. Or the downgrading of U.S. Treasury debt. Or low global interest rates...You get the idea. What's more, even if you get what you've been wishing for and stock prices drop precipitously, how will you know when it's time to get back in? We know now with the benefit of 20/20 hindsight that stock prices fell more than 50% from their 2007 highs prior to the financial crisis to their early 2009 lows. But as this decline was happening, investors had no idea how far prices would drop. So someone like you who was waiting for a big correction might have figured it was okay to get back into the market after stocks had fallen 20%, or 30% or 40%, only to see prices plummet further. Or such an investor could have stayed on the sidelines until early March 2009 when prices hit a trough, but still remained in cash for fear that more losses were to come, thus missing some of the rebound. All of which is to say that you're playing a guessing game that you can never win, a game that in this case at least has already been costly for you. Over the past three years, hunkering down in a money-market has probably earned you an annualized return of somewhere around 0.10%. During that same period a 50-50 mix of stocks and bonds would have gained an annualized 7% or so. Related: Do you really need stocks in retirement? So what do I recommend that you and other investors who want to participate in the market's long-term gains but are wary of getting whacked with short-term losses do? Given the inherent uncertainty in investing and the fact that you can't outguess the market, the most prudent thing you can do is hedge your bets by investing in a diversified mix of stocks and bonds that you can stick with in markets good and bad. Ideally, that mix should provide the long-term growth you need to achieve goals like a secure retirement but also enough protection so you don't freak out and sell in a panic when the market is going haywire. You say you intend to split your cash stash equally between stock and bond index funds. That sounds like a reasonable plan to me. But just to be sure, you might want to complete this 11-question risk tolerance-asset allocation questionnaire, which will suggest an appropriate stocks-bonds mix based on your answers and also show you how that mix as well as others have performed in the past over long stretches and in up and down markets. Once you've decided how you want to divvy up your money between stocks and bonds, the question is how to go from all-cash to your target asset allocation. The conventional wisdom says that you should dollar-cost average, or move from cash to stocks and bonds gradually over the course of a year or so to protect yourself against the possibility of a stock downturn in the near term. Dollar-cost averaging may be psychologically appealing and emotionally comforting, it makes little sense financially. Besides, the whole point of going through the process of allocating your money between stocks and bonds is to deal with the uncertainty of the market. Dollar-cost averaging undermines that effort. So once you've settled on a mix of stocks and bonds that makes sense for you, I recommend that you go to that mix immediately. If the thought of going from cash to your preferred mix all at once is just too upsetting for you, then at least do so as quickly as you can, say, over the course of two or three months rather than taking a year or longer. But what you don't want to do is continue playing this game of wait-and-see. You've already made two good calls: deciding to divvy up your money between stocks and bonds and to invest your stash in low-cost index funds. Now it's time to make another good decision and implement your plan.